NEWPORT BEACH — Rarely does a yacht club exude antiquity and youth at the same time. Balboa Island Yacht Club, however, is an organization operating in rarefied air. Balboa Island YC was founded 93 years ago by Joseph Allan Beek, well before Newport Beach was transformed into a large suburban city with a major harbor. Much has changed in Newport Beach and Balboa Island since 1922. The 93-year-old yacht club, however, is still comprised entirely of non-adult members. 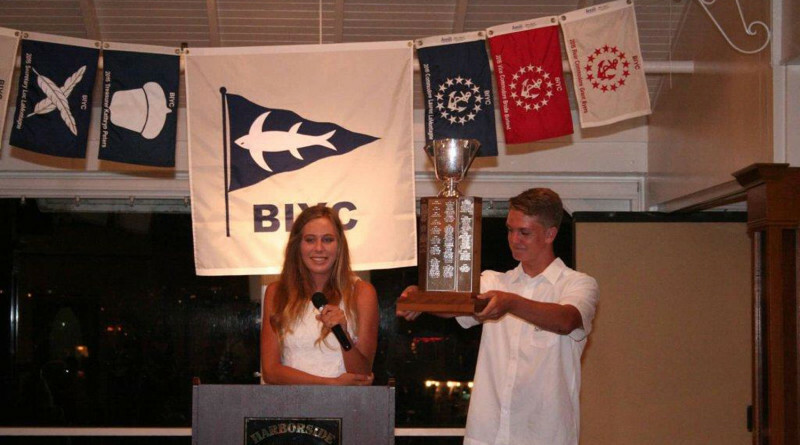 Members might be young but Balboa Island YC is organized and operated just like any other yacht club. The club is led by a commodore and is supported by a vice commodore, rear commodore, treasurer and secretary. Elections are held annually to determine how the club’s leadership will play out. Officers are generally in their mid-teens. Some commodores eventually assume the same position at adult-run yacht clubs. Each member pays a $100 fee upon joining Balboa Island YC. 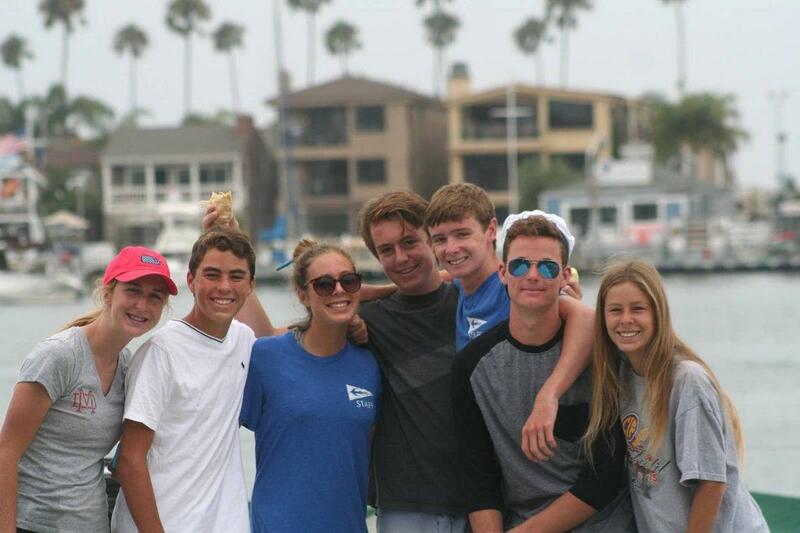 Maintaining a leadership post within Balboa Island YC has been a Lamontagne family tradition. Lauren Lamontagne was preceded by her father’s tenure as Balboa IslandYC commodore in the mid 1970s and her grandmother as secretary in the 1940s. One of Lauren’s great-grandparents was a Balboa Island YC commodore in the 1930s. Helping the yacht club maintain a strong family lineage is its overall lack of publicity and small membership bases. The club maintains a Facebook fan page and mailing but does not have a website. Flyers are occasionally distributed or posted on Balboa Island. Membership, which is first-come-first-served, is limited to 220 people. In some years membership fills up quickly, while in other years families of Balboa Island YC’s members advertise for open slots through word of mouth. “This can’t be too big. It’s at a sweet spot,” said David Lamontagne, adding the club’s young members manage each of its events. The higher the membership, the more difficult it becomes to manage each Balboa Island YC event. These events generally take the form of paddleboard races, sailing lessons, picnics, potlucks, movie nights, end-of-year banquets and other fun activities. The yacht club’s youth members administer each event. The races, for example, exclusively have more than two dozen non-adults running the event. The club’s officers meet after each event and discuss what they need to do to move the club forward. Joining Balboa Island YC and managing its events help its young members learn important lessons in responsibility, leadership, people skills and service. Many members earn community service hours for their college applications. Some club officers go on to top-tier universities such as Harvard, Yale or Princeton. Lauren Lamontagne said she learned valuable management skills during her tenure as commodore, an experience she believes will carry on with her into adulthood. She added the leadership role certainly had some challenges when it came to leading people ranging in age from 4 to 16. The fact some of the older club members were also her longtime friends did not help matters. Being commodore obviously came with challenges, such as how to balance a strict and firm management style with allowing room for people to have fun. The 16-year-old Laguna Beach High School student also learned valuable lessons in time management and how to deal with adults and youth alike. 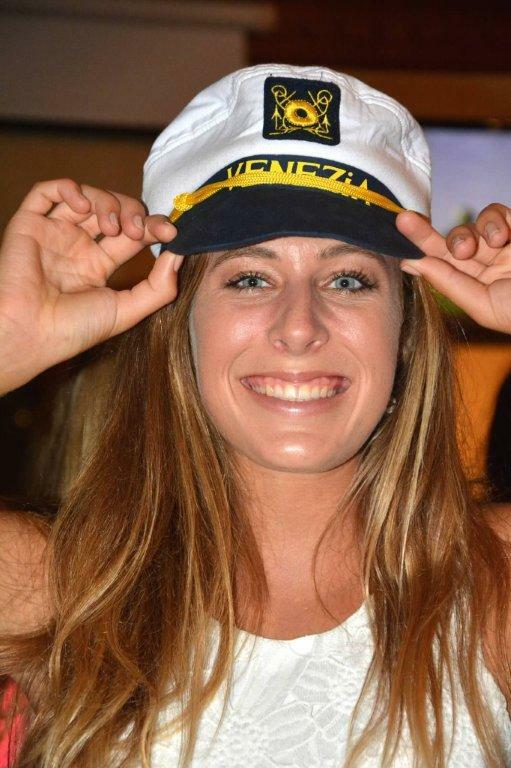 Thankfully Lauren Lamontagne, a Balboa Island YC member since she was 5, was able to rely on her parents for advice. “They said I always had to stay calm. They had to constantly tell me I’d get everything done,” she said. The experiences shared or gained by Lauren Lamontagne, her colleagues and her predecessors would probably sit well with Beek. Beek, a Balboa ferry operator, founded Balboa Island YC in 1922 after taking nearly three dozen youngsters out to sea aboard his sloop, Carrollie. Its mission was to foster the yachting interest of anyone between 6 and 16 years old. His wife, Carol Beek, was the backbone of the club, David Lamontagne said. Lauren Lamontagne, who lives in Laguna Beach during the school year but spends her summers on Balboa Island, said the members she worked with were, as those before them, enthusiastic and enterprising. “We all know the club is something special. All the people who were part of the staff, even when we needed to work, we remember to have fun,” she said.